"Brian Joslyn is an Award-Winning Criminal and DUI Defense attorney who, along with his team at The Joslyn Law Firm, have handled hundreds of criminal cases and helping their clients obtain the best results possible." Any person who allegedly interferes with the legal duties of a law enforcement officer can face very serious penalties. Judges and prosecutors take a harsh view toward alleged offenders who are accused of resisting arrest in Ohio. Of course, there is often much more to the story behind these types of criminal charges. In some cases, the allegations are exaggerated, unsubstantiated, or possibly even fabricated. Have you been charged with resisting arrest in Ohio? The Joslyn Law Firm aggressively defends clients throughout the greater Dayton area of Montgomery County, including Huber Heights and Kettering. Attorney Brian Joslyn fights resisting arrest or obstruction charges in the surrounding communities of Beavercreek and Fairborn in Greene County, Troy and Piqua in Miami County, and Springfield in Clark County. Call (937) 356-3969 right now to schedule a free consultation that will allow our lawyers to review your case and begin developing your legal defense. How is a resisting arrest charge classified in Ohio? What are the consequences if an alleged offender is convicted? Where can I find more information about my rights dealing with police? Fourth-Degree Felony — If a person, recklessly or by force, resists or interferes with a lawful arrest of the person or another person and either, during the course of or as a result of the resistance or interference, recklessly causes physical harm to a law enforcement officer by means of a deadly weapon, or during the course of the resistance or interference, brandishes a deadly weapon. A conviction in Ohio for resisting arrest can have extremely long-lasting consequences. People with this charge on their criminal records can experience tremendous difficulty obtaining employment, housing, or even certain lines of credit. Fourth-Degree Felony — Up to 18 months in prison and/or a fine of up to $5,000. American Civil Liberties Union (ACLU) of Ohio — The ACLU is a nonpartisan, nonprofit organization with local affiliates in all 50 states and Puerto Rico. You can learn more about recent news, upcoming events, and current issues in Ohio on this website. Additional information includes a blog, a criminal justice docket, and answers to frequently asked questions. How to Flex Your Rights During Police Encounters — Flex Your Rights (Flex) is a 501(c)(3) educational nonprofit civil liberties organization. On this website, you can find answers to frequently asked questions about traffic stops, police encounters at your door, and other general questions. Flex also discusses popular myths and maintains a blog relating to recent news. 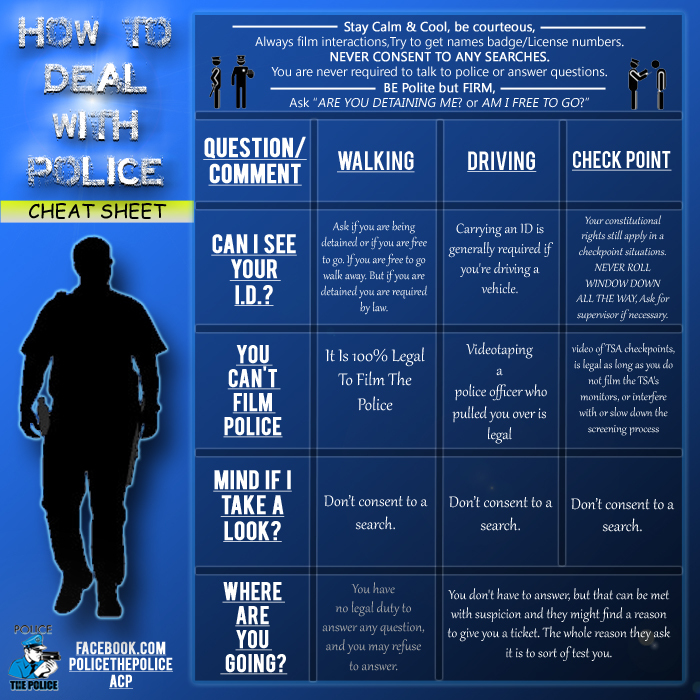 How to Deal with Police (cheat sheet) | Cop Block — Cop Block describes itself as “a decentralized organization made up of a diverse group of individuals united by their shared belief that, ‘Badges Don’t Grant Extra Rights.’” This chart provides information about an individual’s rights during encounters with police while walking, driving, or at a checkpoint. If you have been charged with allegedly resisting arrest in Ohio, it is in your best interest to immediately retain legal counsel. The Joslyn Law Firm fights to protect the rights of clients accused of violent crimes all over Dayton and Montgomery County as well as many communities in nearby areas of Clark County, Miami County, and Greene County. Brian Joslyn is an award-winning Dayton criminal defense attorney who prides himself on being a constitutional rights advocate. He can provide a complete evaluation of your case as soon as you call (937) 356-3969 or submit an online form to arrange a free, confidential consultation.